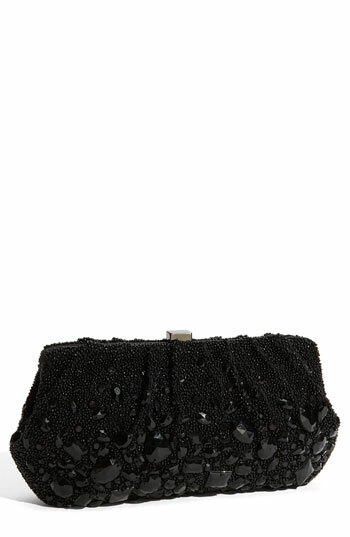 Tiny beads and scattered, faceted gems ornament a softly gathered frame clutch topped with a sleek clasp closure. A delicate drop-in chain strap provides a convenient carrying option.Interior slip pocket. Cotton/PVC/crystals. By Santi; imported.